History of Keaton's Barbecue, Inc. 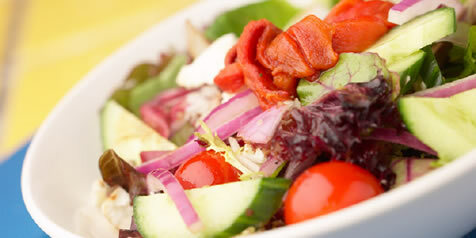 Hurry in to our restaurant today for an outstanding dining experience. You may also place your order on line for fast, inexpensive delivery of Keaton's Original Barbecue Sauce for your American kitchen. Keaton's Original World Famous Barbecue sauce is designed to wake up the flavor in all meats and is designed to meet your culinary needs. Keaton's is a product you'll cherish for a life time. Keaton's "Original" Barbecue Sauce Since 1953! 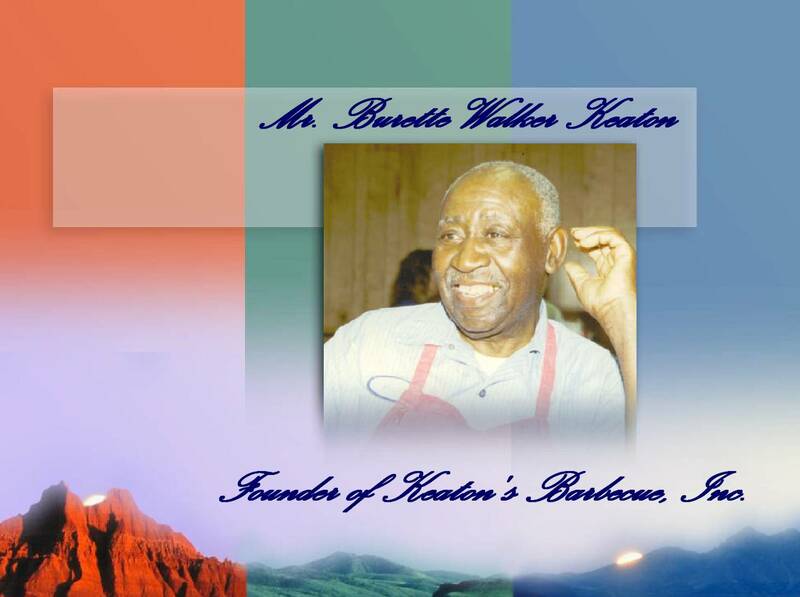 Mr. Burette Walker Keaton, better known as B.W., founded "Keaton's Barbecue, Inc. on November 12, 1953. He came up with a barbecue sauce that captures the "taste" of all walks of life. It was then that he gained fame and notoriety by specializing in his savory barbecue chicken and barbecue pork up until his passing in November of 1989. Since then, business is still going strong and operating in his honor. His spirit still lives in the sauce and also in the lives of his customers. There are stories about Mr. Keaton that customers still hold in the back of their minds that bring light to make you laugh. Most of them have their own little unique stories to tell. I, his niece, enjoy them all. 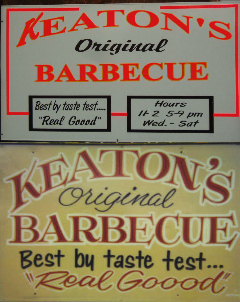 Keaton's Barbecue Sauce offers an old but new to the public sauce that has been voted "Best Taste By Taste Test". Keaton's Barbecue is different from all the rest, prepared to serve you best. It is the right sauce for America's kitchens and restaurants. 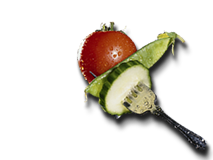 It is designed to wake up the flavor in all meats and to satisfy your needs. It worked for Mr. Keaton, it will work for you. Keaton's Original Barbecue Sauce is a product you'll cherish for a lifetime. Podcast and Reviews on our restaurant. Click here for Keaton's Roadfood Review. The "Original" Barbecue Sauce Since 1953! Copyright 2003. Covenant Consulting. All Rights Reserved.